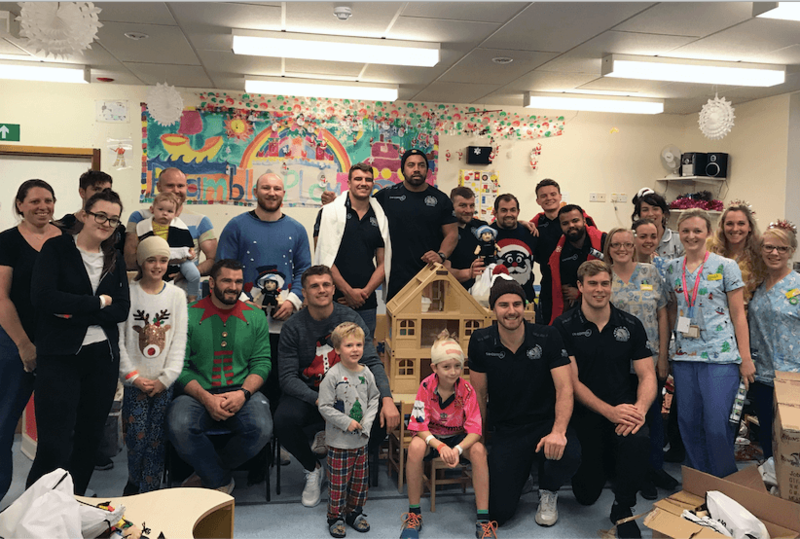 Patients and staff at the Royal Devon and Exeter Hospital had a special visitor in the form of Exeter Chiefs yesterday, as members of the team put on their festive jumpers and spread some Christmas cheer around the hospital. Leading the way was Don Armand, who was joined by team-mates Henry Slade, Moray Low, Matt Kvesic, Ben Moon, Sam Skinner, Elvis Taione, Pete Laverick, Tom O’Flaherty, Ollie Devoto and James McRae. Armed with gifts and presents for the children and young people on Bramble Ward, the team took on the role of Santa as they spent time handing out the goodies before sitting and chatting with the children and their families. 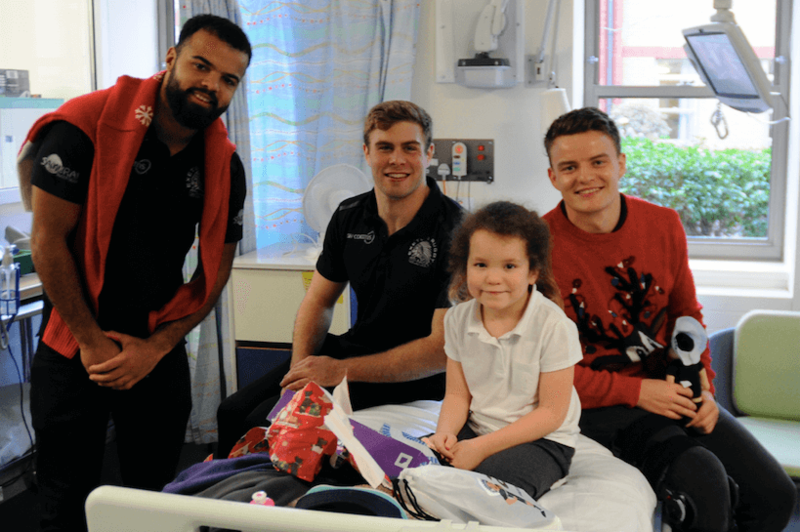 Don Armand said: “You have mixed emotions coming here because it’s nice to put smiles on people’s faces and try and cheer the kids up, but some of the wards are really tough. That said, we always enjoy coming here and spending some time with the children, parents and the staff who do a fantastic job every day of the year. 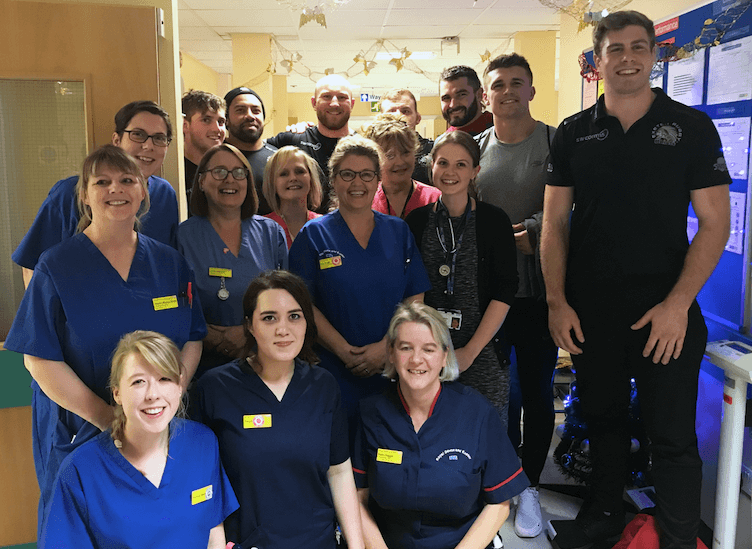 During their visit, the team also visited new parents and babies in the postnatal unit, before heading to meet with patients and staff on Cherrybrook, a day-case unit providing cancer treatments.